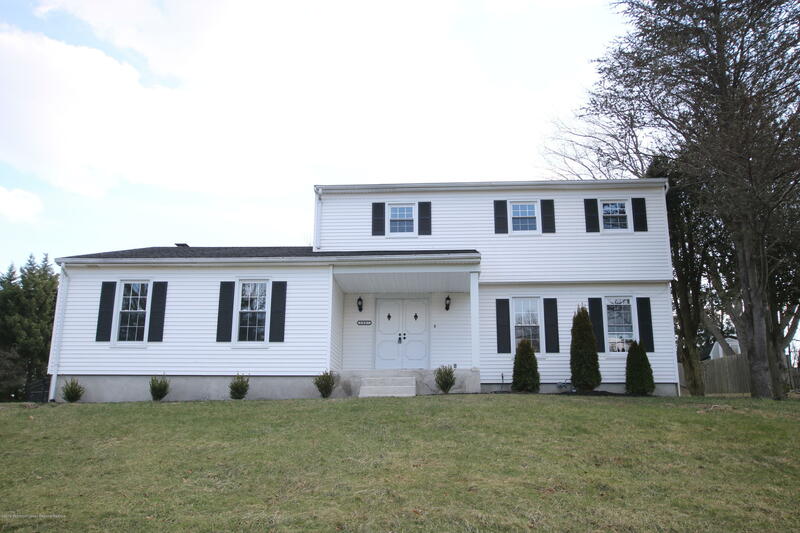 Fabulous FULLY RENOVATED Colonial with elegant details from top to bottom! Spacious Formal Living & Dining Rm with hardwood floors throughout. Sun drenched Eat-In-Kitchen with custom wood cabinetry, granite counters, stainless steel appliances, and tile backsplash. Tons of living space, with Family Room w/cozy fireplace, 4 generous sized bedrooms, 2 1/2 brand new baths, first floor laundry, full finished walk out basement w/ rec room (storage too!) and attached 2 car garage! Start dreaming of summertime, backyard is an entertainer's delight with private two tier deck, in-ground pool! Freshly painted, custom millwork & moldings throughout, hardwood floors throughout, new gas furnace, new central air, new hot water heater, new vinyl windows, timberline roof & oversized storage shed!